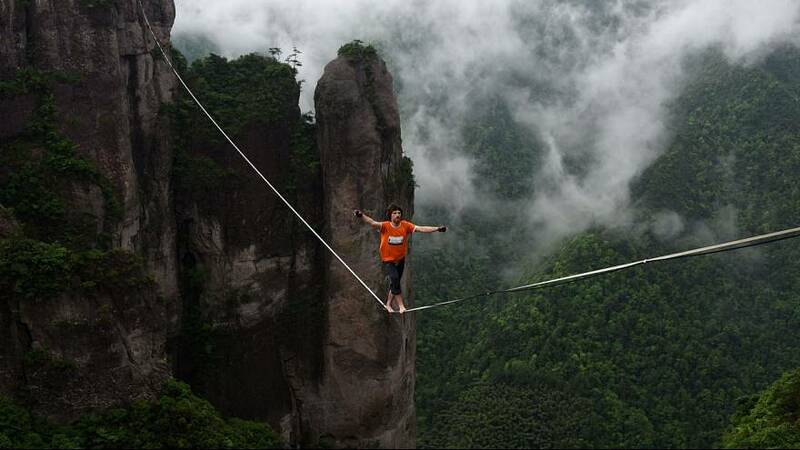 The 3rd International Highline Tightrope Walking Tournament was held on Saturday in Xianju County of east China’s Zhejiang Province. Sixteen world top contestants from ten countries and regions competed with each other on speed while walking on a 25-millimetre-wide tightrope hanging at an altitude of 400 metres. The tournament concluded the same day with French contestant Nathan Paulin winning the championship.